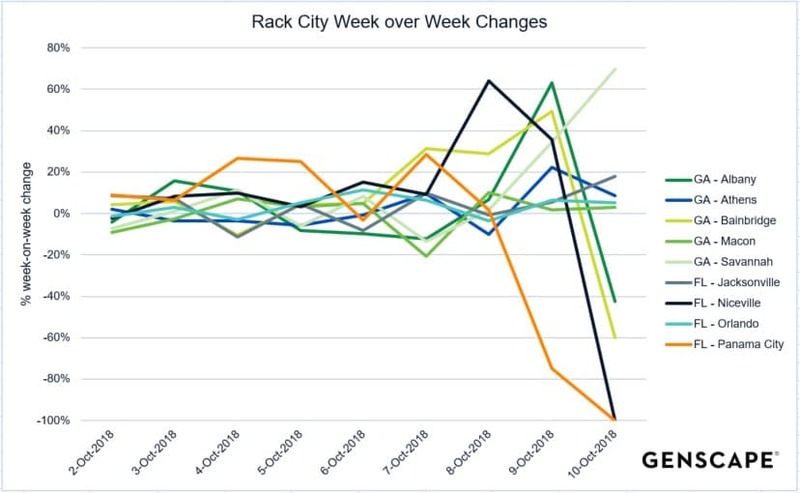 Gasoline demand increased in the Florida Panhandle, southern Georgia, and South Carolina ahead of Hurricane Michael’s arrival to the areas, but repercussions to demand appeared to focus on rack cities in the direct path of the storm, according to our Supply Side daily rack volume data. 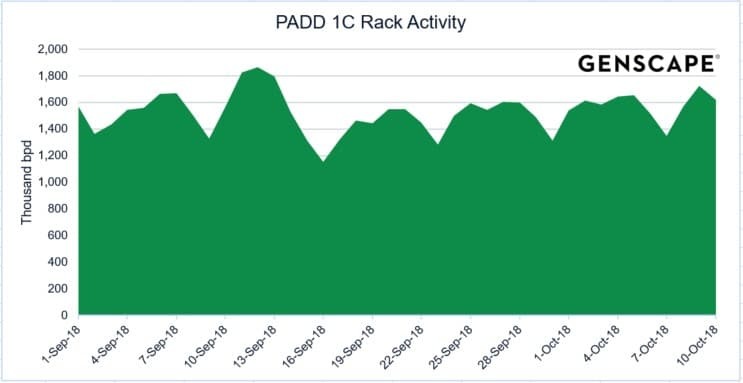 The increased rack activity provided some uplift to PADD 1C demand Oct. 7 to 10. Daily rack activity on Oct. 9 jumped to the highest daily level since the approach of Hurricane Florence to the Carolinas in September. Michael’s long-term ramifications to supply are not yet obvious. Ports along the upper Gulf Coast and southern Atlantic Coast closed either completely or to inbound traffic starting Oct. 9. Restrictions on ports in Mississippi, Alabama, Florida, North Carolina, and Virginia remained as of Oct. 12, with Savannah and Charleston reopening Oct. 11. 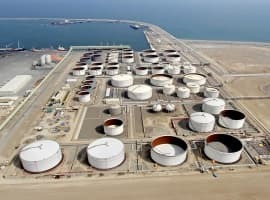 Gasoline supply in these five states relies upon waterborne barge movements from the U.S. Gulf Coast (PADD 3) and cargo imports. To add to the constrained inflows, Colonial Pipeline reported power outages at delivery facilities in southern Georgia on Oct. 11. Colonial assessed damages and impacts to Line 17, which runs from Atlanta to Bainbridge, GA, off Colonial’s 2.6mn bpd mainline system. 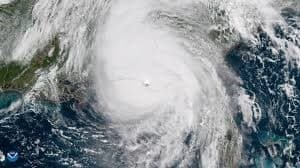 Hurricane Michael made landfall as a Category 4 hurricane on Oct. 10 near Mexico Beach, FL, with maximum sustained winds of 155 mph—the strongest tropical cyclone to hit the Florida Panhandle in recorded history and the fourth strongest Atlantic tropical cyclone to hit the U.S. mainland. When Michael moved into Georgia on the evening of Oct. 10, the storm became the most intense disturbance to hit the state since 1898. The cyclone made its way through Florida, Georgia, South Carolina, North Carolina and Virginia. As of Oct. 12, Michael was a post-tropical cyclone off the coast of Delaware, heading northeast towards open water. Gasoline rack activity increased across Florida, Georgia, the Carolinas and Virginia ahead of Michael’s landfall on Oct. 9. Across all five states, gasoline rack liftings surged 6.9 percent over the previous week to 1.425mn bpd, nearly as high as the rack activity observed ahead of Hurricane Florence Sept. 11 to 13. The largest jump in gasoline rack activity occurred in Georgia and the Carolinas on Oct. 9, as experts forecasted population-dense areas in those states to stand in Michael’s path. Georgia gasoline rack activity climbed 470,000 bpd Oct. 9, up 11.1 percent from the previous week. North Carolina gasoline rack volumes jumped to 260,000 bpd Oct. 9, the highest level since Florence hit. In Georgia, however, gasoline rack city liftings in preparation of Michael had a considerable impact on state-level rack volumes. Albany, Bainbridge, Athens, Macon and Savannah swayed state volumes. 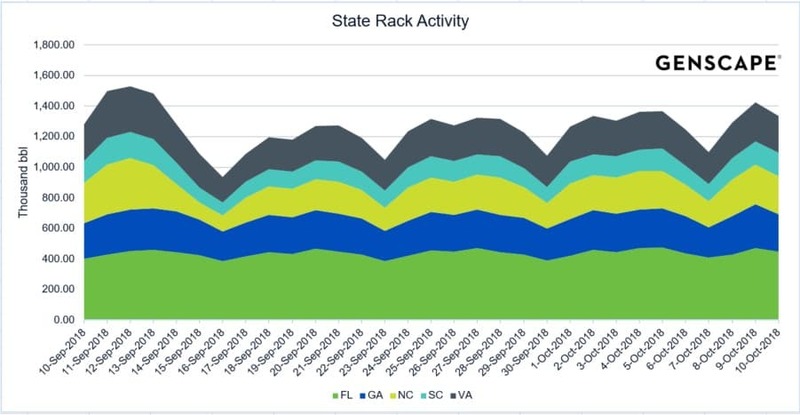 Altogether, the cities averaged approximately 100,000 bpd of rack activity in September, amounting to 42 percent of Georgia’s average gasoline rack activity for the same month. 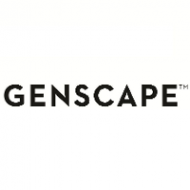 On Oct. 9, Bainbridge gasoline rack liftings ascended 49.3 percent above the previous week’s levels, and Albany gasoline rack activity soared 63.1 percent above the previous week. In Athens, gasoline rack liftings increased 22.2 percent over the previous week Oct. 9. Gasoline rack activity continued to rise in Savannah as Hurricane Michael made landfall in Florida Oct. 10. Week-on-week volumes for the city jumped 34.5 percent and 69.7 percent on Oct. 9 and 10, respectively. During the storm on Oct. 10, gasoline rack volumes in Albany and Bainbridge fell 42.5 percent and 59.9 percent compared to the previous week. 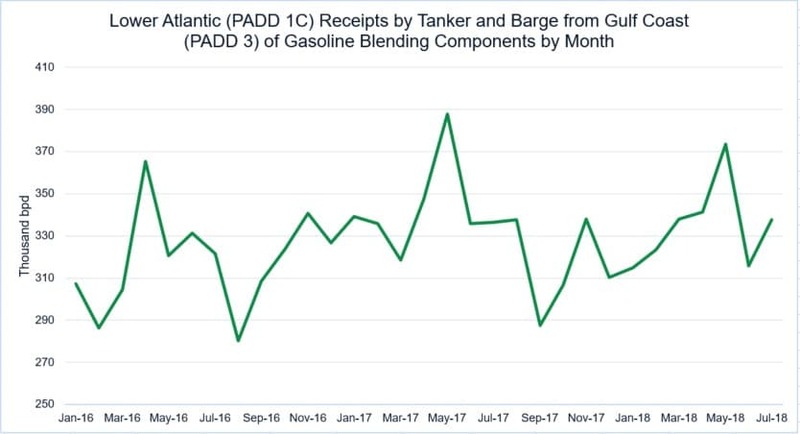 As a result of the gasoline rack activity surge ahead of Michael, PADD 1C (Lower Atlantic) gasoline demand also rose to unusually high levels Oct. 9, according to our Supply Side data, approaching the record-high regional demand posted ahead of Hurricane Florence on Sept. 10-12. We estimate that on Oct. 9, gasoline demand reached 1.725mn bpd in PADD 1C, 6.9 percent below the previous week. Following Florence, PADD 1C demand collapsed to historic lows in mid-September due to suppressed gasoline demand in the Carolinas. Given early reports of the widespread damage and power outages caused by Michael, a similar downward trend in PADD 1C volumes is likely to occur in the aftermath. The Michael-affected states, except for Florida, also receive gasoline supply via the 2.6mn bpd Colonial and 700,000 bpd Plantation pipeline systems. Colonial Pipeline announced Oct. 11 that all lines were still operational, including the Line 17 spur off the mainline that supplies southern Georgia, but the company was assessing damage and the state of delivery facilities south of Macon, Albany and Bainbridge due to power outages. 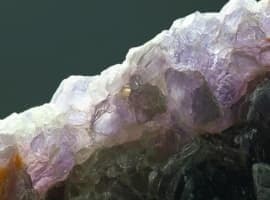 For Kinder Morgan’s Plantation system, multiple news reports quoted a company spokeswoman saying the company was monitoring potential impacts to the system. Michael had a significant impact to gasoline demand before the storm and immediately after, and its effect on gasoline demand will be seen in the weeks to come. As for supply and logistics, the long-term impacts from Michael to fuel supply chains in PADD 1C and Virginia are not yet known. Lengthy power outages across the affected states could have an impact on local gasoline availability and prices.